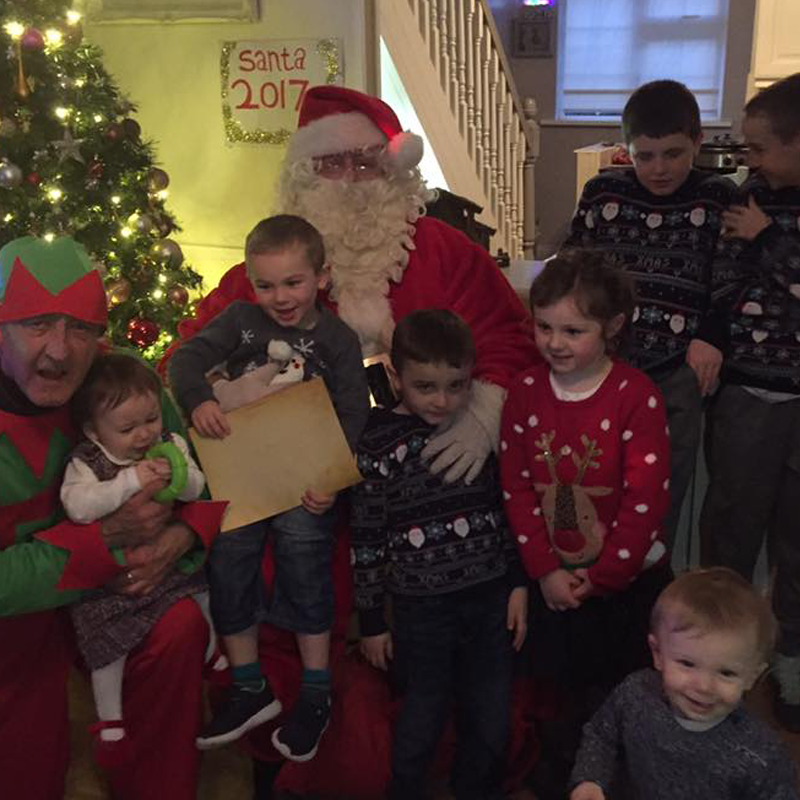 We are now fully booked for the remainder of 2018, so would just like to take this opportunity to thank all the families, schools and businesses who invited along Santa Paddy and his Elves to meet with all the boys and girls this year. As ever, it was our total pleasure to pass on the good news that every boy and girl we met was on this year's nice list! 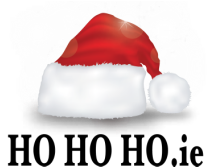 May we wish you all a very Merry Christmas! 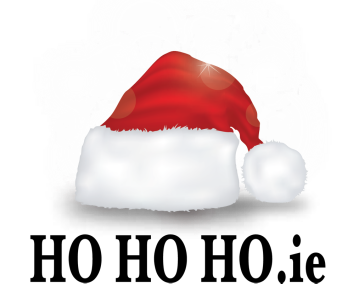 The Best, Finest, Most Superb, Greatest & Fantabulous Santa Experience For Families In Cork! 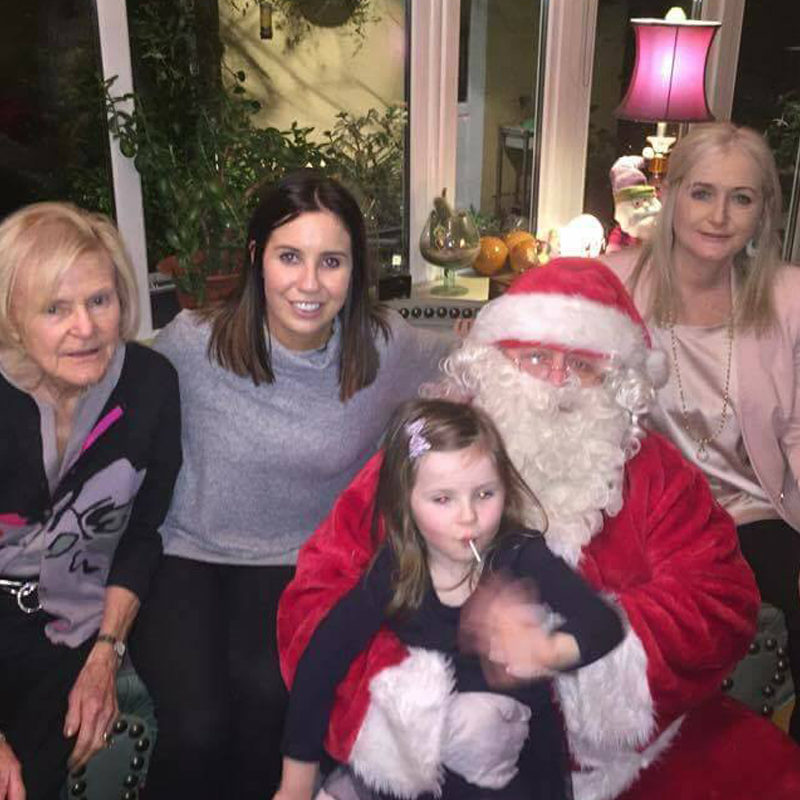 7 Great Reasons To Book hohoho.ie’s Santa For Your Family. 1 - UP TO SIX CHILDREN WELCOME! 2 - NO WAITING TIMES, WHATSOEVER! 3 - ALL THE PHOTOS & VIDEOS YOU WANT! Take as many photos as you like on your own cameras and phones and share with family and friends with no fear of extra charges. Record the longest video you wish, we’re good at performing for the camera! 4 - ALL GROWN UPS WELCOME! 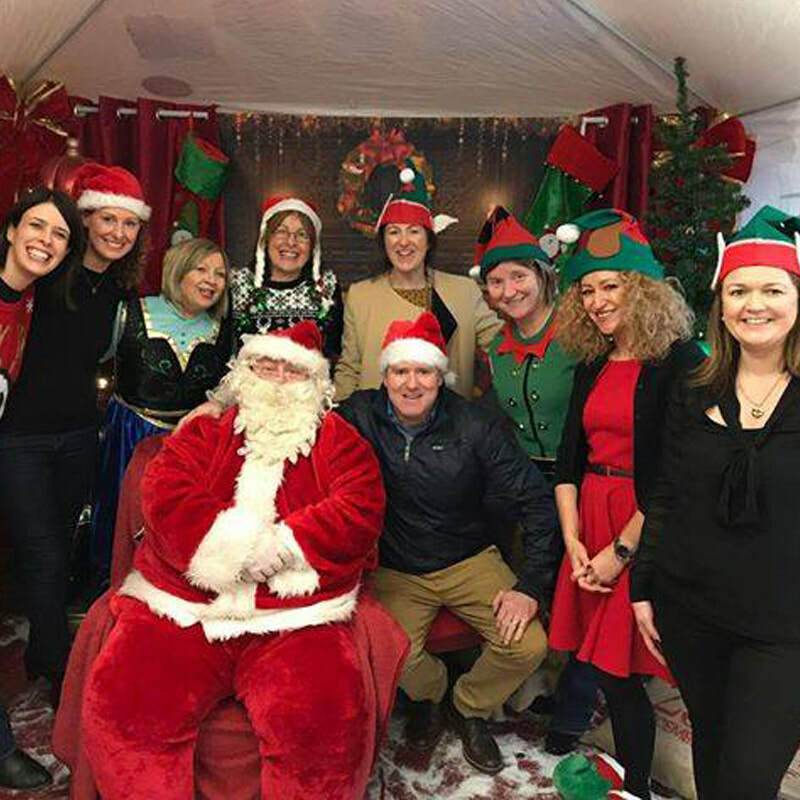 You can squeeze in as many grown ups as you can – all welcome, and the more the merrier, ideally in Christmas jumpers and in good singing voice! From babies to great great grandparents, we create the memories together! Remember, we’re there as a pre-visit to the big day. You can pick your own presents, or we can bring some with us. You can choose when you book. 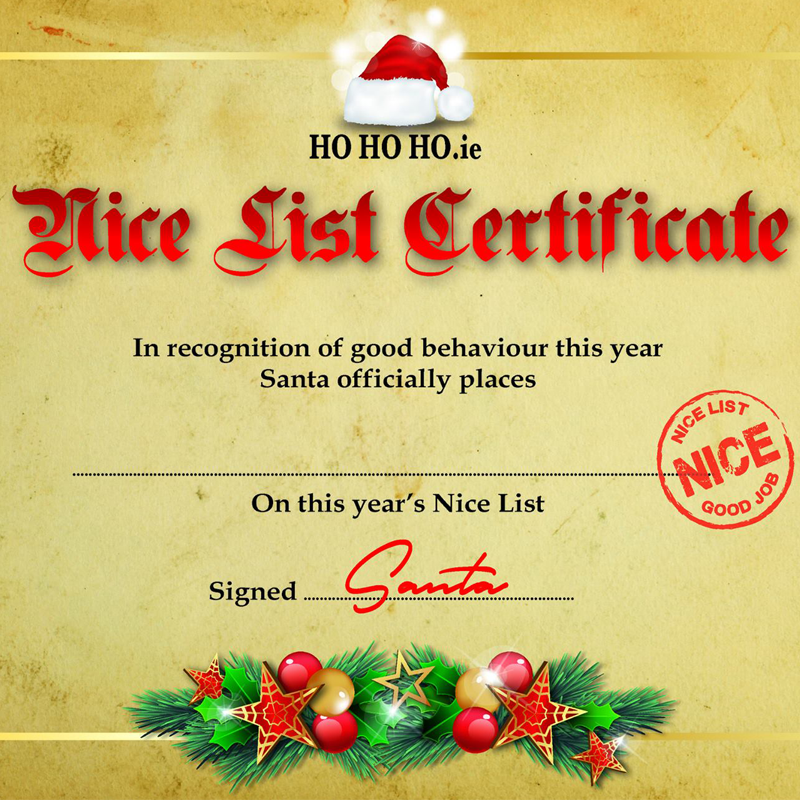 ​All the children get their own personalised “nice list” certificate from Santa – it helps if you need anything improving on too – better teeth brushing, more homework, less going to bed late, that kind of thing helps young ones get on the nice list! 7 - KNOWLEDGE IS POWER! We will wow them with our knowledge! You have a very simple online form to complete after you make a booking, (so you have plenty of time to think of answers) and tell us who will be there, what school they're at, their teachers, their hobbies, and what they want on the big day! 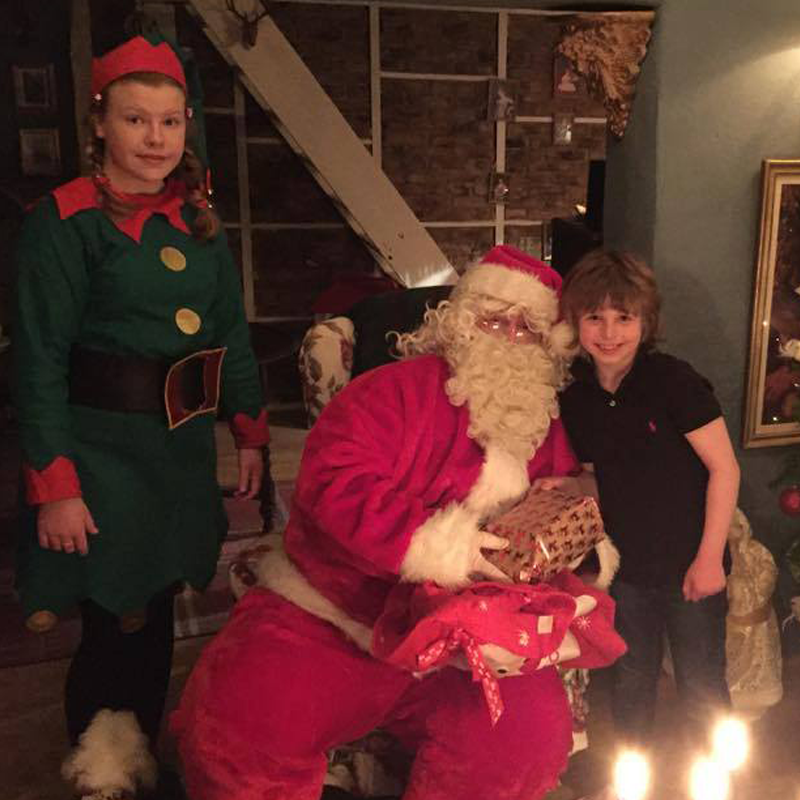 The visit to your home (we can even come to hotels, bars, restaurants too by the way) will be half an hour of top quality singing, story telling and jokes with Santa and his top elf. 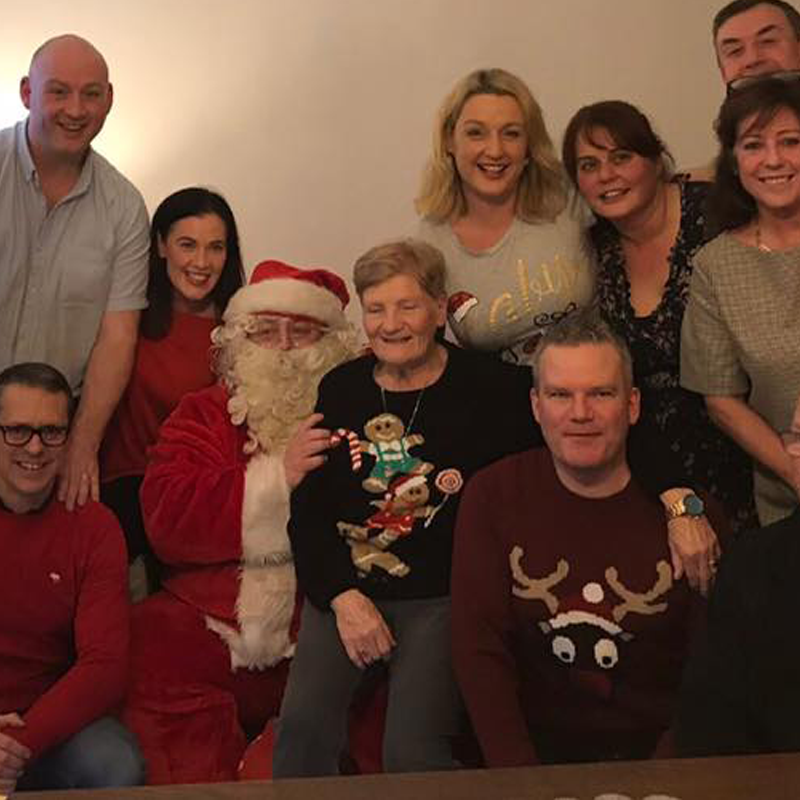 Ok, they’re actors, but let’s keep the Christmas spirit here - they’re professionally trained and have decades of experience in performing arts and showcasing their talents at many events on many occasions across Ireland and beyond! We’re all Garda vetted, have our own liability insurance, plus professional cover, and we come highly recommended by lots of very happy families and companies. Check our reviews here (click) . 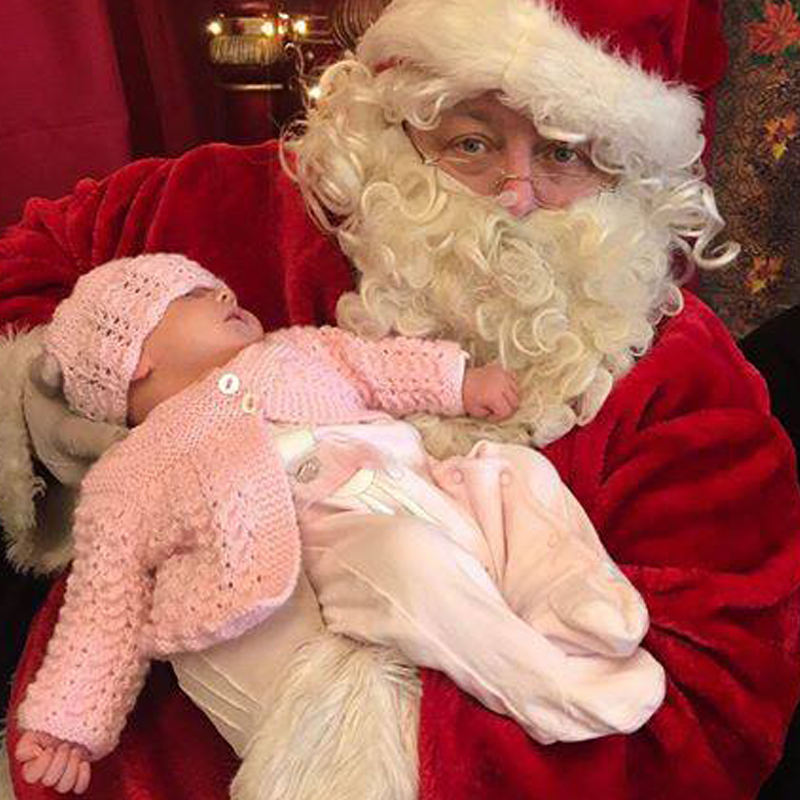 We hope that’s enough to convince you to book The Best Santa Experience Ever, but do feel free to ask us anything else. Contact us here (click). To make a booking, simply click here. 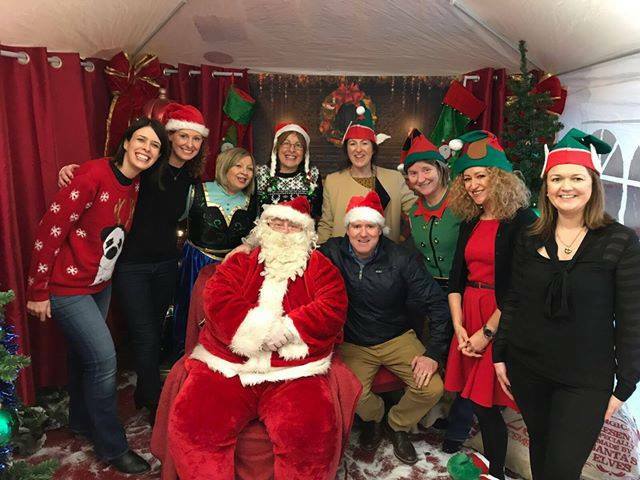 We also do creches and junior schools (click here for info) and are very popular at some of Cork’s biggest commercial events – you can book us for your work party too – click here. Thank you for visiting us, and may we wish you a very Merry Christmas!